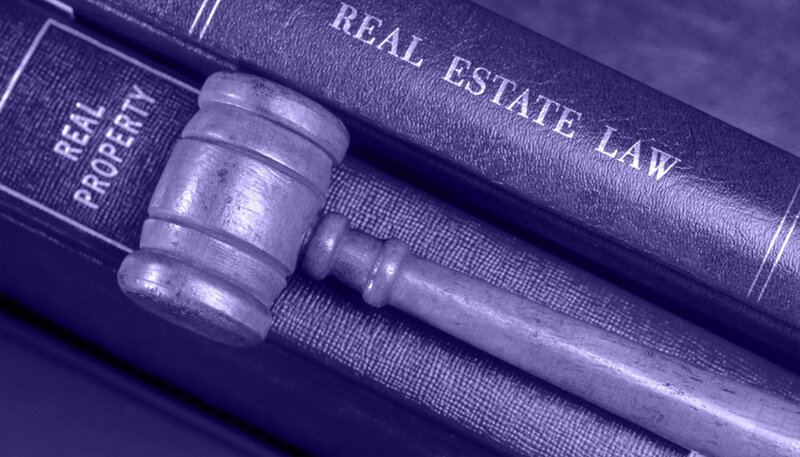 We are able to leverage the varied legal and practical perspectives for our clients benefit that lead to the successful conclusion of real estate litigation matters, including, construction disputes, real estate contracts, leases, rental agreements, evictions, fraudulent conveyance, mechanic's liens and partition and quiet title actions. Our experience and expertise also extends to litigation that involves lease and rental agreement disputes, associated with the duty to repair, early lease termination, lease terms, security deposits and sub-leasing. Both landlords and tenants can avoid potential problems by having a well-drafted contract that enumerates all rental terms. We discuss the particulars of your property and its occupancy and construct clear, detailed leases that cover all aspects of your rental agreement. When you present a lease to a prospective tenant, you will feel confident that you are absolutely in compliance with California law and that your rights are protected should a dispute arise. California law specifies the usage, retention and return of security deposits. If your landlord fails to follow these strict regulations, we can help you to collect what is due to you. We first pursue the most cost-effective route of demanding payment from your landlord. If necessary, our attorneys assertively defend your rights in court. Eviction is disruptive to both the landlord and the tenant. The landlord must spend the time and money to replace tenants who fall behind on rent, and displaced families must locate a new home under traumatic circumstances. With this scenario in mind, we help mediate disputes when eviction is undesirable. If you are a tenant who unfairly faces eviction, we protect your right to remain in your home. If you are a landlord whose tenants are engaged in disruptive, illegal or damaging behavior, we help you to protect your property and your business. Our knowledge and expertise is of the highest quality, making us formidable opponents on issues of concern to our clients. Combining business savvy with sophisticated litigation strategies, we help clients successfully resolve high-stakes commercial disputes. We represent clients in an array of complex commercial disputes, that include, business torts, contract disputes, financial institution disputes, fraud and unfair competition disputes, false advertising, trade libel and slander, writs of attachment, claim and delivery proceedings and preliminary injunction matters. We have extensive experience in shareholder disputes that involve breach of fiduciary duty claims associated with directors and officer’s involvement in self-dealing, misappropriation of assets, conflicts of interest or embezzlement. Claims may also include corporate and business dissolution, minority shareholder rights and shareholder derivative claims. Our experience extends to director and officer liability associated with claims for abuse of influence, breach of fiduciary duty, self-dealing, fraudulent transfers and usurping corporate opportunities, and limited liability company disputes associated with the formation, operation or dissolution of a limited liability company. These disputes may involve claims for breach of fiduciary duty, breach of loyalty, conflicts of interest, indemnification, dissolution, derivative lawsuits and member buyouts. Whether business conflicts involve partners or shareholders, these disputes can quickly escalate uncontrollably. At Law Offices of Ivan P. Cohen, we work diligently to protect the rights of our clients while preserving the value of the underlying enterprise. We understand that these important business matters often involve heightened personal feelings, which is why we provide the utmost professionalism so that all parties can focus on the key issues. Rivalries and disagreements among the people who run a business are often complex and bitter. We work to minimize the time and expense devoted to these matters by resolving them through consensus. However, when necessary, we are prepared to litigate in cases related to: alleged breach of fiduciary duty, alleged misappropriation of funds, alleged improper contact with a competing firm, issues arising from sudden departures, resale of shares and alleged contract or partnership agreement violations. The hallmark of our litigation approach is a keen understanding of the client’s objectives with our strategy tailored to the size of the matter, the client’s exposure or up-side and the significance of the case to the client. Our clients rely on our forward thinking and creative problem-solving approach to resolve their disputes either in or out of court. Recognizing that litigation is just one part of a larger strategy, we strive to resolve disputes quickly and effectively, by evaluating early exit options, to minimize costs. We have extensive experience in arbitration and mediation and are able to navigate the most appropriate path to a successful resolution of all kinds of disputes. The Law Offices of Ivan P Cohen are specialists in collection and recoveries, aimed at individuals, small and large businesses and public and private corporations. We provide a full range of cost effective services, which provide for intervention strategies to prevent loss, appropriate systems for securing prompt payment and a concise fee structures that enable creditors to know exactly whether a debt is worth pursuing. To date, we have collected millions of dollars for our clients. While implementing these strategies and systems, we are still able to circumvent the dangers imposed by law for unfair debt collection practices, as well as unfair credit reporting practices. Our knowledge of all applicable laws and regulations associated with debt collection is unmatched. We pride ourselves in our knowledge of all applicable collection laws, including the Fair Debt Practices Act, California's Rosenthal Act, and the Fair Credit Reporting Act and our client's gain valuable peace of mind knowing that our firm is up to date and knowledgeable of every law and regulation governing fair and responsible collection practices. Our firm is on the cutting edge of organized, accurate, and aggressive technological tools that make collecting debts easier, and ensures a more reliable outcome. With a multifaceted debt recovery plan in place, we are able to develop and implement legal solutions for loss prevention and debt recovery strategies that meet our client's specific requirements, thereby enabling them to successfully achieve their business objectives. The process of collecting a debt is technical and requires meticulous analysis of applicable laws and technical processes. Whether collecting a debt for the sale of goods, a lease agreement, or for services rendered, the process involves multiple, competing interests and one that requires as much technical knowledge as does grit and determination. For most businesses, that reality simply makes the collection process too time consuming and logistically difficult. With our experience and knowledge you can rest assured your debt will be recovered, while you focus your attention on building your business and developing new client relationships. Our first goal in any debt collection process is an amicable resolution. Affording debtors an opportunity to make payment prior to resorting to the legal process is usually best for all interested parties. Should a debtor choose not to take advantage of that generosity, we are fully equipped and ready to exhaust all legal avenues to collect a debt. Our firm is familiar with all relevant and applicable laws and processes for collecting any debt of any size. We are familiar with all guidelines and our ability to combine in-depth legal research and asset-liability analysis means we can quickly and accurately analyze a case to determine if a lawsuit is the best method to collect a debt. Upon determining the proper course of action, our firm constructs the best possible debt recovery plan. While every case is different and no single remedy for debt collection will work for each individual client, we are confident that together, we can find a solution for collecting any outstanding debt. The Law Offices of Ivan P Cohen bring decades of experience and provide individuals unmatched depth and expertise in the field of debtor-creditor cases. Our knowledge and expertise is of the highest quality, making us formidable opponents on issues related to all aspects of debtor-creditor matters, including, fraudulent conveyance and other preferences, foreclosure proceedings, breach of fiduciary duty claims, turnover actions, and defense of contractual and fraud-related claims. The law is concerned with determining who is responsible for causing injury and how much the responsible party should be required to pay for any damages resulting from the injury. Automobile accidents, drunk drivers, insurance bad faith, premises liability and wrongful death are some of the types of events covered by personal injury law.